We will delve deeper into each one and consider strategies that can help you create a well-managed preschool classroom. Preschoolers are explorers who are soaking up the world of information and experience. Their short attention span (15-20 minutes) makes them move quickly from one task to another. Keep your lessons short and build in a variety of activities like songs, stories, finger play and rhymes that involve movement. Add different activities every few weeks/months to keep things fresh. As they are unable to sit for too long, try to be flexible about sitting in one position. Allow them to stretch regularly. Preschoolers can only focus on a single thing at one time, and so you should present one thing at a time and give simple, single-step instructions. It helps to have them repeat the instructions. Preschoolers thrive on a predictable routine, so build in a consistent structure to your day, so that they know what to expect. The classroom setup depends on the experiences you and your students will share over the year. Consider the type of activities (individual, pair, small or whole group) you do most often and arrange seating and interest areas or learning centers accordingly. It helps to use lightweight furniture that can be rearranged quickly. Setting up a classroom that anticipates curricular and student needs, helps to prevent behavioural problems and minimises disruption. Allow space for student movement and easy entry/exit. Designating and labelling space for storage (bags, bottles, lunchboxes) and equipment (teaching resources) helps create a conducive learning environment for preschoolers who learn best when they have clearly marked physical spaces. Establishing norms of expected behavior, gives preschoolers a sense of safety and predictability. Along with your students, decide which activities you need to establish rules for. You can make specific rules for circle time, for using learning corners, and for the use of classroom materials. You can also consider procedures for handing out or taking in workbooks, handling the beginning/ending of the school day, and for transitioning between activities. Rules are effective if stated positively. For example, instead of saying, “Don’t run in the corridor”, state the rule as, “Walk slowly in a line.” This simple rule leaves no room for misinterpretation. Once agreed upon, display the rules along with pictures that show students using these rules. Remember to acknowledge students who follow the rules and revisit rules when someone needs a reminder. Knowing what works with preschoolers is the starting point. 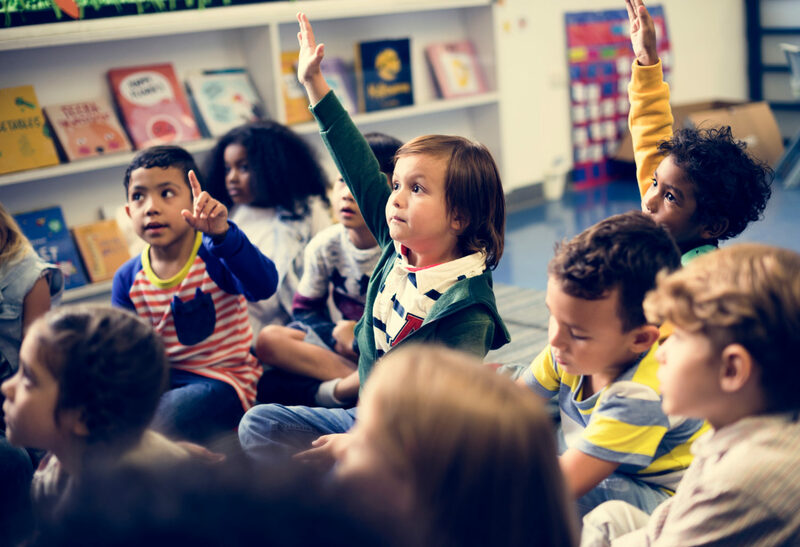 If as a preschool teacher, you are aware of their unique characteristics and know which strategies work, you can build a relationship that will enable students to thrive, thus preparing the foundation for lifelong learning.